Welcome to Marketing From Scratch (MFS) and my new home for the foreseeable future and also your new home for online marketing info. I hope to provide you with some amazing content which will help your business and hopefully see your online ventures turn into profitable ones with my help. In this post I would like your help, so you can get the most from MFS. So before we move into my first video for MFS please take a look below. My Marketing From Scratch, Get Started – Build Business – Get Traffic free report. You can download this on the right or below this post. 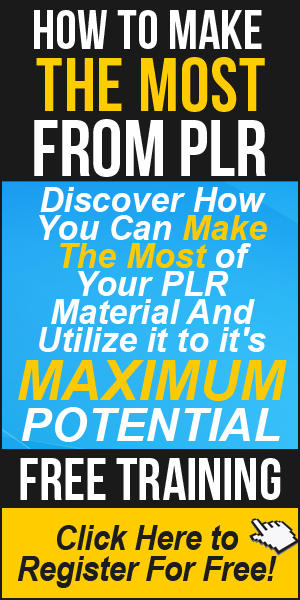 This is a free guide which has a ton of info to help you on your online journey. Take a look at the MFS Facebook page. This is where you can interact with me personally and where you will hear about my daily goings on. Last of all, please subscribe to my new Youtube channel which from today will start to grow with a ton of free video information. Thanks in advance for checking out all the stuff above and for connecting with me and the others at MFS. Let’s create a helpful community. Now it’s time for the first video of the year and for the blog. Take a look below for a little advice for planning, mindset to getting started and a small tour of MFS. I’ll try to keep it under 5 minutes honest.. Thanks for watching and staying with me. Look out for more informative videos in the future from MFS and more interaction from all the social channels above. Don’t forget to join me and if you are in the sharing mood please share..
Good looking blog, all success with it mate. Nice….very cool site and I look forward to learning from your trusted words of wisdom..! Thanks Ian. No pressure there then. I will give it my best for you guys! Nice new site – looks great! Love the sidebar images. Cheers Dan. I see you and Sue are doing some cool stuff to. Good luck with that. Congrats on your new blog, buddy! Everything’s looking great and it sounds like you have a clear plan of what direction you’re headed. Just left your old blog lol, this is mint mate, very clean and crisp. No doubt it will be bigger and better in 2014. Love the new blog,it’s easy on the eye & very informative. Looking good mate. Good luck with this venture. Nice look on your facebook. I like the black tone overall and have designed my website in the same way. Also check out the my facebook page https://www.facebook.com/IMSaul.InternetMarketingWithSaul to keep brand tone consistent with each other. Thought it would give you a hint on brand consistency. Although I recently heard from someone black is a bad idea so will be re-designing in the near future. Online but struggling with technical aspects. Will follow your posts and guides regularly. Sure will be packed full of even more awesome content before we know it. Thanks a lot Carl for stopping. I have a ton of stuff lined up for everyone. Congratulations! Very impressive and informative. For me, it is a source of inspiration and reflects hard work and determination. Obviously you know where you are going and I feel sure that you will get there! Thanks for all your work putting this program together. May we both benefit greatly from it. Belated Happy 2014, see you at the top! Will come back later and go through it all. Signed up for the newsletter and three videos, so if I want to be a night owl will have something to do. Having a problem with your videos, don’t know if they are set at high quality, but boy does my hard drive go into overtime when I try to watch one. May have to much stuff open, but I’m working and need it..
I’m going to move them to YouTube rather than EVS, so it should be ok once done. Hey Dan, fantastic project and loving the videos as well man. It’s cool that you’re old school just like me, I also have a few legal pads and a ton of post-it notes to help me administer my to do lists and daily activities. I do use a Journal (although it’s online – I use Evernote). The best thing about this is that I can use it wherever I want (as long as I have my laptop or an internet connection). I also maintain a paper version (not a Journal though). I just love writing these ideas and outlines down..instead of just typing them in Evernote. Anyways, I wish you good luck with the new blog! Thanks for letting us know. Nice! good job very crisp and sharp! excellent . Nice site but I loved your other one too. I know though that you’re ready to go into a different direction and I have no doubt you’ll do marvelously with this one as well. Great information that you’re sharing so I appreciate you pointing us to your video page and I’m going to be sure and go through every single one of them too. You mentioned in your video that you use a journal. I use a notebook myself and I have tons of them now but it’s the best way for me to plan out my day and like you, hold myself accountable for finishing the tasks that will bring me the most results. I write pretty much everything I need for that day and notes to help me remember things I need to include. I don’t know how people do without on myself. Great site and I’m excited for you so will look forward to seeing what you’ve got in store for us all. Good luck my friend. Hey Adrienne, nice to see you here 🙂 I shall be popping by your place more, now that I’m settled and have come out of hiding lol. I love my journal, it helps me stay focused and in control of my day. Like you said it hold you accountable for everything. Thanks Adrienne and I’ll stop by soon..
Hello Dan, how is it going? Hope you and your family are doing well in 2014. Nice new blog, i can feel that it is going to be big this year… good luck with it all. Need any help on it, don’t feel shy to ask. Once again congratulations on it, will be great reading your future posts.